Our company is engaged in offering a wide range of Pollution Control Equipment which is well known due to their best quality. These products are used in various industrial applications and offers excellent results. Moreover, we offer our products at reasonable prices in market. Owing to vast experience in this field, we offer wide assortment of CYCLONE SEPARATOR to our valuable customers. 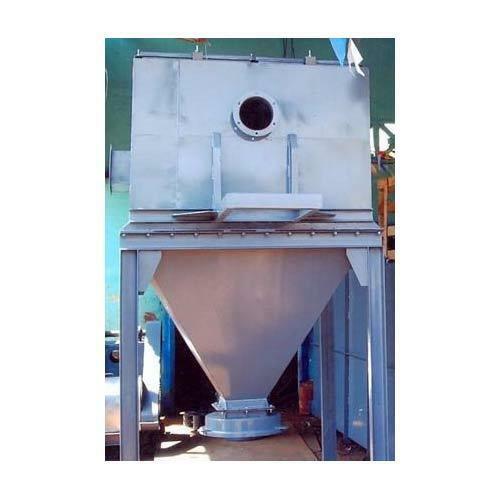 The CYCLONE SEPARATOR is Manufacturing to adequate for high dust concentration removal by the principle of cyclone motion. The CYCLONE SEPARATOR undergo various quality assurance tests at each level of their productions, to ensure high standards of quality. These products are known for their dimensional accuracy and compact design. These optimum quality separators are equipped with a fully welded center cyclone to achieve higher efficiency. Adequate to high dust concentration. We are among the topmost manufacturers, suppliers, and exporters of optimum quality Centrifugal Fan. These products are widely used to control and maintain the effective flow of air and gases in various industries. These products are known for easy maintainability, low power consumptions, and high efficiency. These products can be custom designed as per the requirement of our valuable customers. We assure the effective and timely delivery of these products once ordered by our valuable customers. Looking for “Pollution Control Equipment”?